Since the base operating system is different, apps designed on the Galaxy Gear will no longer work after the update. 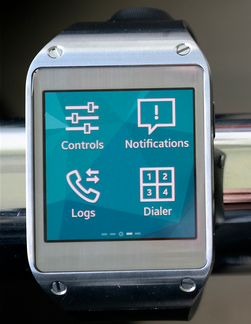 Instead, developers will need to make use of the Tizen wearables SDK if they want to build apps. Samsung tried to maintain some semblance of consistency from the first Gear to the second, so the UI isn't radically different. The changes are mostly in the feature set. The updated Gear will have sleep mode to track your snoozing, an exercise mode that can track your steps in real time, and a music app that can play tracks stored locally on the device. Users also get a few more voice commands and better control over the double-tap shortcut. There's no official word when the new OS is coming to the Gear, but it's definitely real.